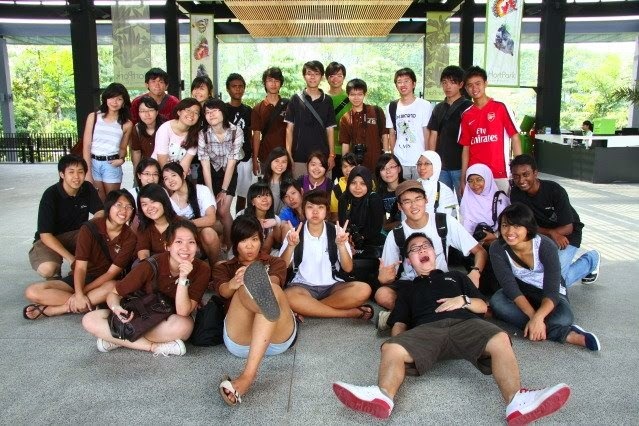 Last saturday, the 4th SPP event (outing) took place at HortPark! Xinyi "torturing" the rhino. Haha! Ancient female statue in modern world. Mini water spout. All the green plants surrounding it must be feeling so cooling! It has been a long time since I last posted my school results. GCE O-Level result was the previous one, a sad one. This time round, my first ever SP test results came out better than I thought! In fact, I'm quite satisfied with it (although I failed one). 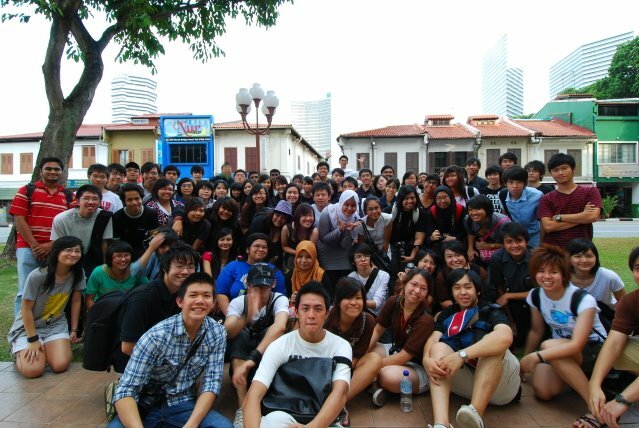 The 3rd SPP event was held at Haji Lane! Guess what? Over 70 SPPers turned up! Bicycle hanging on the wall. Back to the main topic, Haji Lane is basically a lane full of shophouses. That day was seriously damn hot, causes me non-stop perspiration. But luckily there's a 7-11 nearby, just nice for a bottle of Coca Cola to quench my thirst. I shoot Richard, Richard shoot Hakim, Hakim shoot who? The dustbin cover is the mouth, the 2 holes were the eyes. Together they form a green face! After that we reached Muscat Street, where the magnificent Sultan Mosque is located!